The reality is that up to 90% of all skin cancers are caused by exposure to the sun's harmful UV rays, and the effect is cumulative. Fortunately, most skin cancers are visible and can be diagnosed and successfully treated before they spread (metastasize) to other parts of the body.Visit this section for information on types of skin cancers, tips for protection from the sun, and how we can help. Have you noticed that deep, dark tans look decidedly out of place these days? In fact, they look like a holdover from the 1970's, when bronzed sun worshippers graced the covers of the leading fashion magazines. Luckily, those days are long gone: Lovely un-tanned skin is now chic. The reality is that up to 90% of all skin cancers are caused by exposure to the sun's harmful UV rays, and the effect is cumulative. Each unprotected exposure incerases one's lifetime risk of developing skin cancer. Fortunately, most skin cancers are visible and can be diagnosed and successfully treated before they spread (metastasize) to other parts of the body. In fact, many lesions can be detected and treated at a precancerous stage, the point at which their cells may be close to turning cancerous but have not yet. Actinic keratosis (AK), also known as solar keratosis, is the most common type of precancerous skin lesion. The more time individuals spend in the sun over the years, the greater their odds of developing one or more AKs. An AK is evidence that sun damage has occured and that the individual is therefore at greater risk of developing skin cancer. AKs typically occur on the face, lips, ears, scalp, neck, back of the hands, shoulders, forearms, and back - the parts of the body most often exposed to the sun. Ranging in size from 1mm to 1inch (most often about 2-4mm) in diameter, AKs usually appears as small crusty, scaly, or crumbly bumps or horns. The base can be dark or light skin-colored and may have additional colors such as tan, pink, and red. Treated early, almost all AKs can be eliminated before becoming skin cancers. Based on the growth's characteristics and the patient's age and health, various treatments can be used effectively with little or no scarring. If not treated early, AK's can develop into cancerous lesions that can require more in-depth treatments and surgeries. Here's a rundown on the three major types of skin cancer than can develop, what they look like and what you can do about them. Basal cell carcinoma is the most common form of skin cancer, accounting for 80% of all skin cancers diagnosed in this country. Last year, some 900,000 new cases were diagnosed. If caught early, though, the cure rate is better than 95%. What it looks like: Pearly nodule, sometimes with an area that won't heal. It can be translucent and gradually grow, or can look like a sore that won't heal. Who gets it: People who have received chronic sun exposure throughout their life. How it's treated: Basal cell carcinomas can be removed by freezing or surgery. Numbering 200,000 cases in 1998, squamous cell carcinoma is the second-most common form of the disease, representing 16% of all skin cancers. Like basal cell carcinoma, this disease is 95% curable if caught early. But squamous cell carcinoma can spread and is potentially lethal if left untreated. What it looks like: Crusty, scaly patch with a hard, callused surface. Who gets it: People who have had chronic sun exposure throughout their life. How it's treated: If caught early, squamous cell carcinomas can be removed by freezing or surgery. Though melanoma is the least common form of the disease, it's the most deadly. "The odds of getting melanoma are 1 in 79," Dr Rigel notes. In fact, adds Dr. Ceilley, "someone dies of melanoma every hour." And if you have a family history of the disease, you're at risk even if you've never been out in the sun, Dr Ceilley explains. What it looks like: Usually a pigmented mole, sometimes with an uneven border. The color and diameter may change over time. Who gets it: People who have had several blistering sunburns in their youth or adolescence, or those with a family history of the disease. How it's treated: Removal of the tumor (excision). The amount of tissue that needs to be cut out depends on the tumor's thickness, so early detection means less invasive surgery. If the cancer has spread, the patient may need chemotherapy, radiation, or other treatments. Skin cancer, if not completely preventable, can at least be successfully treated if caught early. Here are some ways to protect yourself. Cover up - Wear long pants and shirts with sleeves. If the sun can't get to you, it can't damage your skin. Wear a cap - Wear a hat with a 4-inch brim to protect your face and neck. Use a high-SPF sunscreen - If you'll be outside for any length of time, use a sunscreen with an SPF of 15. Look for changes - growing, bleeding, crusting, or otherwise changing spots on your skin could indicate a problem. Make it routine - use a broad-spectrum sunscreen every day and start putting it on your kids at age 6 months. Reapply often - even waterproof sunscreens need to be re-applied every 2 hours for maximum protection in the midday sun. Stay indoors - avoid the sun between 10 a.m. and 4 p.m., when its rays are strongest. Here are some sun-savvy tips from Steven E. Hodgkin, M.D., Medical Director, Aesthetic Skin & Laser Medical Center. Avoid reflective surfaces, such as sand or water, which can reflect up to 85 percent of the sun's damaging rays. Make applying a broad-spectrum sunscreen with a minimum SPF of 15 as much a part of your year-round daily routine as brushing your teeth. Make sure there's a tube of sunscreen in your car, golf bag or backpack for last-minute sun activities. Reapply sunscreen every two hours after you've been in the sun or water - even if it claims to be "waterproof." Check the UV Index in the morning paper or on the TV or radio before you go out. Then take the necessary steps to stay sun-safe. If you're in the sun and there's shade nearby, stand under it. If there's no shade, bring your own (i.e., a hat with a 4-inch brim). Wear sunglasses and tightly-woven protective clothing. Dark colors give more protection. Let the sunscreen dry on your skin for 20 to 30 minutes before going outside. It takes that long for the chemicals to start working; this also helps ensure that it stays on your skin where it belongs. And try to avoid being in the sun between 10 a.m. and 4 p.m. Put your sunscreen on yourself when you slather it on your kids. Not only will you also be protected, you'll be a good role model, too. Spread the word about sunscreens and the dangers of skin cancer to friends and family members. You could save a life! Sunscreens combined with other skin-care products (such as moisturizers) are real time-savers. Just make sure that the sunscreen in the product has an SPF of at least 15. Generally, an individual's risk for developing melanoma depends on two groups of factors: intrinsic and environmental. Intrinsic factors are generally an individual's family history and inherited genotype, while the most relevant environmental factor is sun exposure. Learn how to check for the warning signs of a potential melanoma and how they differ from normal moles. It is one of the rarer types of skin cancer but causes the majority of skin cancer related deaths. Malignant melanoma is a serious type of skin cancer. It is due to uncontrolled growth of pigment cells, called melanocytes. Around 160,000 new cases of melanoma are diagnosed worldwide each year, and it is more frequent in males and caucasians. 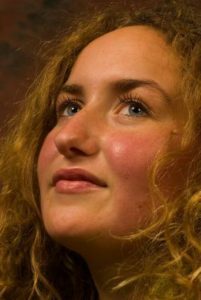 It is more common in caucasian populations living in sunny climates than other groups. Generally, an individual's risk for developing melanoma depends on two groups of factors: intrinsic and environmental. "Intrinsic" factors are generally an individual's family history and inherited genotype, while the most relevant environmental factor is sun exposure. Epidemiologic studies suggest that exposure to ultraviolet radiation (UVA and UVB) is one of the major contributors to the development of melanoma. UV radiation causes damage to the DNA of cells, typically thymine dimerization, which when unrepaired can create mutations in the cell's genes. To detect melanomas (and increase survival rates), it is recommended to learn what they look like (see "ABCDE" mnemonic below), to be aware of moles and check for changes (shape, size, color, itching or bleeding) and to show any suspicious moles to a doctor with an interest and skills in skin malignancy. Evolving: any change -in size, shape, color, elevation, or any new symptom such as bleeding, itching or crusting - points to danger. Minimizing exposure to sources of ultraviolet radiation (the sun and sunbeds), following sun protection measures and wearing sun protective clothing(long-sleeved shirts, long trousers, and broad-brimmed hats) can offer protection. In the past it was recommended to use sunscreens with an SPF rating of 30 or higher on exposed areas as older sunscreen more effectively blocked UVA with higher SPF. Currently, newer sunscreen ingredients (avobenzone, zinc, and titanium) effectively block both UVA and UVB even at lower SPFs. Moles that are irregular in color or shape are suspicious of a malignant or a premalignant melanoma. Following a visual examination and a dermatoscopic exam used routinely by one in 4 dermatologists in the United States, or an examination using other in vivo diagnostic tools, such as a confocal microscope, the doctor may biopsy the suspicious mole. If it is malignant, the mole and an area around it needs excision. The diagnosis of melanoma requires experience, as early stages may look identical to harmless moles or not have any color at all. A skin biopsy performed under local anesthesia is often required to assist in making or confirming the diagnosis and in defining the severity of the melanoma. Amelanotic melanomas and melanomas arising in fair skinned individuals are very difficult to detect as they fail to show many of the characteristics in the ABCDE rule. These melanomas are often light brown, or pink in color - and very hard to distinguish from acne scarring, insect bites, dermatofibromas, or lentigines. There is no blood test for detecting melanomas. Warts are common, and are caused by a viral infection, specifically by the human papillomavirus (HPV) and are contagious when in contact with the skin of an infected person. We have several simple and highly effective ways to make them quickly disappear. Keratolysis - removal of dead surface skin cells using salicylic acid, blistering agents, often with mechanical paring of the wart with a pumice stone, blade, etc. Cryosurgery - freezing the wart (generally with liquid nitrogen), creating a blister between the wart and epidermal layer, after which the wart and surrounding dead skin falls off by itself. There are several over the counter options. The most common ones involve salicylic acid. These products are readily available at drugstores and supermarkets. Another product is silver nitrate in the form of a caustic pencil, which is also available at drug stores. Depending on the type of birthmark, we have several ways to minimize or remove their appearance. For more information, contact our office to set up an appointment. Acne is one of the most common of all skin problems. Almost everyone will experience pimples or blackheads at some point in life. Acne affects millions of teenagers to some degree and even many adults, especially women. Fortunately, it is also one of the easiest conditions to treat. Acne is one of the most common of all skin problems. 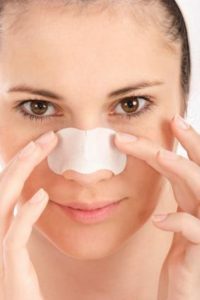 Almost everyone will experience pimples or blackheads at some point in life. Acne affects millions of teenagers to some degree and even many adults, especially women. It is caused by several factors - genetics, hormones, bacteria, inflammation, and an overabundance of skin oils - all of which are beyond your control. But you CAN take steps to control your acne. Myth #1: Acne is caused by poor hygiene. If you believe this myth, and wash your skin hard and frequently, you can actually make your acne worse. Acne is not caused by dirt or surface skin oils. Although excess oils, dead skin and a day's accumulation of dust on the skin looks unsightly, they should not be removed by hand scrubbing. Vigorous washing and scrubbing will actually irritate the skin and make acne worse. The best approach to hygiene and acne: Gently wash your face twice a day with a mild soap, pat dry--and use an appropriate acne treatment for the acne. Myth #2: Acne is caused by diet. Extensive scientific studies have not found a connection between diet and acne. In other words, food does not cause acne. Not chocolate. Not french fries. Not pizza. Nonetheless, some people insist that certain foods affect their acne. In that case, avoid those foods. Besides, eating a balanced diet always makes sense. However, according to the scientific evidence, if acne is being treated properly, there's no need to worry about food affecting the acne. Myth #3: Acne is just a cosmetic disease. Yes, acne does affect the way people look and is not otherwise a serious threat to a person’s physical health. However, acne can result in permanent physical scars--plus, acne itself as well as its scars can affect the way people feel about themselves to the point of affecting their lives. Myth #4: You just have to let acne run its course. The truth is, acne can be cleared up. If the acne products you have tried haven’t worked, consider seeing a dermatologist. With the products available today, there is no reason why someone has to endure acne or get acne scars. We now have many ways to eliminate acne and help restore your skin. Benzoyl Peroxide - Can be very effective in treating mild cases of non-inflammatory acne. It's also safe for children as well as adults, and may be combined with other topical or oral treatments. Benzoyl Peroxide cleans out the bacteria that can block pores. It is available over the counter in gels, creams, lotions, and cleansers. Concentrations range from 2.5% to 10%. Side effects are mild, the most common being dryness of the skin. Salicylic Acid - Is a mild acid that encourages the peeling of the top layer of skin and the opening of pores. Like benzoyl peroxide, it can be found in many over the counter products with concentrations ranging from 0.5% to 2%. Side effects are also mild, and if skin becomes too dry consider a lower concentration and compare your skin care products for similar cleansing agents that could be causing excessive dryness. Zeno - Is a handheld, portable electronic medical device that is clinically proven to make pimples disappear fast. It applies a precisely controlled heat dose directly to the pimple through a metal pad. The heat causes the bacteria to self-destruct, and when the bacteria dies, the pimple goes away. Zeno does not replace good skin hygiene or a doctor's care. It is designed to treat mild to moderate acne. Other therapies, depending on the severity of your acne, may be recommended by your dermotologist. PhotoDynamic Therapy (PDT) - Is a treatment performed with a topical photosensitizing agent called Levulan that is applied to your skin and then activated with the correct wavelength of light. PDT has a unique ability to minimize pores and reduce oil glands - effectively treating stubborn acne, Rosacea, and improving the appearance of some acne scars. BLU-U (blue light acne treatment) - Uses a very special blue light that can kill the p. acnes bacteria in your skin. Treatments are simple - you simply sith with your face close to the light for a short time at a schedule set up by your doctor, usually a 15-minute session about once or twice per week. The treatments may go on for five weeks or so. It's very safe, it's not hot, it's not painful at all. After some weeks, the blue light can control your acne, or clear it up for a very long period. Although eczema may look different from person to person, it is most often characterized by dry, red, extremely itchy patches on the skin. 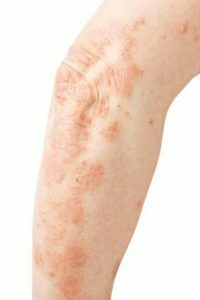 Eczema is sometimes referred to as "the itch that rashes," since the itch, when scratched, results in the appearance of the rash. Eczema can occur on just about any part of the body; however, in infants, eczema typically occurs on the forehead, cheeks, forearms, legs, scalp, and neck. In children and adults, eczema typically occurs on the face, neck, and the insides of the elbows, knees, and ankles. 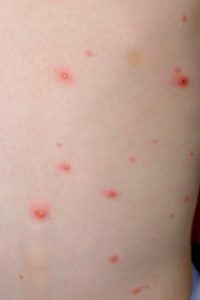 In some people, eczema may "bubble up" and ooze. In others, the condition may appear more scaly, dry, and red. Chronic scratching causes the skin to take on a leathery texture because the skin thickens (lichenification). Many substances have been identified as itch "triggers" in patients with eczema, and triggers are not the same for every person. Many times it is difficult to identify the exact trigger that causes a flare-up. For some, it seems that rough or coarse materials coming into contact with the skin causes itchiness. For others, feeling too hot and/or sweating will cause an outbreak. Other people find that certain soaps, detergents, disinfectants, contact with juices from fresh fruits and meats, dust mites, and animal saliva and danders may trigger itching. Upper respiratory infections (caused by viruses) may also be triggers. Stress can also sometimes aggravate an existing flare-up. One of the most important components of an eczema treatment routine is to prevent scratching. Because eczema is usually dry and itchy, the most common treatment is the application of lotions or creams to keep the skin as moist as possible. These treatments are generally most effective when applied directly after bathing (within three minutes is a common recommendation) so that the moisture from the bath is "locked in." Cold compresses applied directly to itchy skin can also help relieve itching. If the condition persists, worsens, or does not improve satisfactorily, another effective treatment is the application of nonprescription corticosteroid creams and ointments to reduce inflammation. This can look like nothing more than a blush or a sunburn. It's caused by flushing (when a large amount of blood rushes to the blood vessels just under the skin, and the vessels expand to handle the flow). Over time, the redness does not go away. As a result of continual flushing, the skin eventually becomes inflamed. Pimples may appear on the face. These pimples may be papules (small, red, and solic) or pustules (pus-filled, like some acne). Doctors call this telangiectasia (tell-an-jek-TAZE-yah). When people with rosacea flush, the small blood vessels of the face get larger. Eventually, they show through the skin. They may appear as spots or as thin, wavy lines. This condition is called rhinophyma (ry-no-FY-muh). It is present in the more advanced stages of rosacea, especially in men. When rosacea isn't treated early, small, knobby bumps may gradually appear on the nose, giving it a swollen appearance. How does rosacea start, and how does it progress? The first sign of rosacea is usually rosy cheeks. As it progresses, the face may get red in patches and stay red for hours or days at a time. Eventually, the redness doesn't go away at all. Beginning treatment usually consists of an oral anti-inflammatory drug and a topical medication. You may see results in the first few weeks. Although full results usually take up to 12 weeks. A study showed that nearly one-fourth of people who stopped using their rosacea medication after 3 months relapsed within the first few days. Sixty percent relapsed within the first 6 months. That's why this chronic condition requires ongoing control. Topical medication - Your dermatologist will recommend the right care for your symptoms. One medication that may be prescribed for you is called MetroGel® 1%. Its once-daily application makes it easy to remember and the smooth gel formulation makes it easy to apply. Cleanse gently with a very mild cleanser. Avoid products that contain alcohol or other irritants. Dermatologists often recommend Cetaphil® Gentle Skin Cleanser, a non-soap cleanser available at most drugstores. It does an excellent job of cleaning without irritating. Medicate according to your dermatologist's instructions. Moisturize with a good-quality, "noncomedogenic" (meaning it won't clog pores) moisturizer as needed. If your treatment includes a topical medication, you can usually apply the moisturizer after the medication has dried. The Cetaphil® product line also includes a moisturizer, available in lotion and cream forms. It is specially designed for sensitive skin. Protect with a sunscreen of SPF 15 or higher, even on cloudy days. Look for a noncomedogenic product that does not contain alcohol. Cetaphil® Daily Facial Moisturizer with SPF 15 is an excellent choice. Psoriasis can cause irritating, embarrassing skin symptoms, but effective treatments are available. There are several different types of psoriasis, but the most common type is called plaque psoriasis. Plaque psoriasis causes red, raised lesions (patches) that produce dead, flaky skin cells (scale). Psoriasis can cause irritating, embarrassing skin symptoms, but effective treatments are available. HUMIRA, by Abott Laboratories, is one treatment that has been shown to be very effective in clearing up even moderate to severe cases. There are several different types of psoriasis, but the most common type is called plaque psoriasis. Plaque psoriasis causes red, raised lesions (patches) that produce dead, flaky skin cells (scale). While the exact cause of psoriasis is unknown, researchers believe the protein TNF (tumor necrosis factor), or TNF, is involved. We all have TNF in our bodies, but in people with psoriasis, too much TNF is produced. This contributes to the inflammation and overproduction of skin cells leading to the formation of skin lesions. Instead of maturing and falling off the body within about a month, like normal skin cells, psoriatic skin cells take only 3-4 days to mature and surface. Instead of falling off, the skin cells accumulate and form red, itchy, flaking skin patches (lesions). Up to 30% of people with psoriasis also get joint pain and stiffness. If you’re experiencing stiffness and joint pain—as well as the skin symptoms of psoriasis—it could mean you have a condition known as psoriatic arthritis (PsA). PsA can cause progressive joint damage in addition to the red, itchy skin lesions of psoriasis. But HUMIRA can treat the joint pain and stiffness as well as the skin symptoms of psoriatic arthritis. HUMIRA is used to reduce the signs and symptoms of psoriatic arthritis in adults, may prevent further damage to your bones and joints, and may help your ability to perform daily activities. It can be used alone or with certain other medicines. The rash of shingles is caused by a reactivation of the varicella-zoster virus. This is the virus that causes chickenpox. The first symptoms of shingles are usually itching, tingling, or significant pain with just a light touch. The rash of shingles is caused by a reactivation of the varicella-zoster virus. This is the virus that causes chickenpox. After a person has been infected with the varicella virus, the virus travels back into the body and waits. For various reasons, the virus can reactivate, travel down the nerve to the skin, and causes the shingles rash. The first symptoms of shingles are usually itching, tingling, or significant pain with just a light touch. This pain occurs on one side of the body in a band-like area called a dermatome. During this time, people often experience headache, sensitivity to light, and fatigue, but rarely fever. One to five days later the rash starts as an area of redness that progresses quickly to clusters of fluid-filled blister. The duration of shingles can be significantly reduced for many people with the use of oral prescription antiviral medications. It is important to go to the doctor as soon as you suspect you may have shingles. Shingles should be diagnosed and treated early (within 72 hours, or 3 days) after the rash appears. Oral antiviral medications like FAMVIR® (famciclovir) are used to treat shingles. FAMVIR is available in easy-to-swallow tablets.